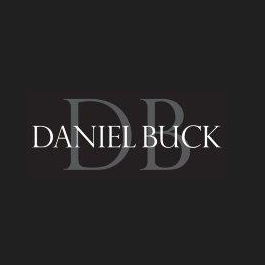 Home > Daniel Buck Auctions, Inc.
began auctioneering in 1975. Mr. Soules specializes in Americana, principally of the 18th and 19th centuries, Shaker items and 19th and 20th century paintings. Daniel attended International Auction School in Deerfield, Massachusetts, where he graduated at the top of his class. He has worked as an auctioneer and appraiser in Massachusetts, Michigan, Georgia, Rhode Island, Florida and Maine, as well as in Canada, and is a licensed auctioneer in Massachusetts. He also has conducted appraisal days throughout the United States and for such prestigious museums as the Smithsonian Institute Anacostia Museum based in Washington, D.C. He has presided over charity auctions for such non-profit organizations as the Providence RI Make-A-Wish Foundation where he was the celebrity auctioneer with the Hollywood movie producer Michael Corrente; and the USS Saratoga foundation which was held at the Honorable Governor of Rhode Island and Mrs. Donald Carciere’s private home. He also conducted a charity auction for the USS Saratoga Museum Foundation along with the Red Sox Legends in support of the establishment of a branch of the Ted Williams Museum in Rhode Island. This event was attended by such Red Sox legends as former pitcher Luis Tiant and many others. Since 1999 you may have seen Daniel as an independent appraiser on the PBS television show Antiques Roadshow where he has done a number of on air valuations. Over the last 20 years Mr. Soules has been involved with museums, organizations, and historical commissions throughout New England, serving either on the board of directors or a committee for a number of them. Daniel Buck Auctions is located in Lisbon Falls, Maine and can be reached by telephone or e-mail.